Kenneth R. Robinson's topically organized bibliography of thousands of English-language books and articles on the history of Korea. A Hawai‘i foundation established to foster the arts of Korea, including information on activities of the foundation and on Korean dance artist Halla Huhm, her studio, and her repertoire. The Korean Flagship Program at the University of Hawai‘i at Mānoa prepares American students to be able to function in Korean as professionals in their chosen academic or occupational fields. The Center for Korean Research was established within the East Asian Institute in 1988. The Center sponsors visiting scholars and research associates as well as cultural events, monthly Contemporary Korean Affairs Seminars, and lecture series on Korea-related topics. As a part of Institute of East Asian Studies and a research unit of the UC Berkeley's International and Area Studies, CKS actively promotes all aspects of Korean studies at Berkeley not alone the study of Korean humanities and social sciences. Established in 1993, but has the largest Korean Studies program on the mainland of the United States. One of the oldest Korean studies programs offering BA and MA degrees in a variety of disciplines at the University of Washington. The University of Michigan's KSP support and develop research and teaching resources on Korea. The University of Southern California has one of few independent research institutes dedicated to Korean Studies. Its Korean Heritage Library houses one of the nation's preeminent research collections in Korean language materials. The Academy provides master's and doctoral programs in the humanities and social science, conducts research projects, offers seminars and publications, and also has a four-week language and cultural program for foreign students and scholars. The annual publication by the Society for Korean Studies, and the editorial office located at the Center for Korean Studies, UCLA. Published quarterly by the Association for Asian Studies in February, May, August, and November. Founded in 1941 and formerly known as The Far Eastern Quarterly until 1956. Published by Academia Koreana of Keimyung University. Became biannual from the year 2002. The Center for Korean Studies, University of Hawai`i, has a small informal library and reading room located on the second floor of the center. Much of the collection is stored on closed shelves and will be retrieved by library assistants on request. An on-line catalog is available. The library holdings do not circulate. Information on the names of institutions, the size of their holdings in Korean and Western languages, and contacts regarding both Korean materials and Western-language materials is available. Since 1941 the Bibliography of Asian Studies has been the standard bibliographical tool in the field of Asian studies, published in increasingly bulky annual volumes. The Republic of Korea government provides an informative user-friendly portal site. The World Factbook, one of the CIA publication's data and maps are updated periodically. The online DB which has been developed by the Korean Foundation. You can view the data of Korean Studies scholars, specialists, and students. Better known as kimsoft.com, Korea WebWeekly provides independent, non-partisan information on Korea. 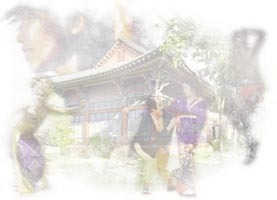 A non-profit organization is to enhance understanding of the arts, customs, history, and literature of Korea. A site devoted to information about and discussion of issues related to the unification of North and South Korea. Basic Tips: These are only few of those most frequently asked. Questions or comments welcome. Browsing Websites in Korean: On the menu bar of your web browser go to "View" ›› "Encoding (IE)" or "Character Set (NS)," and check "Korean" is selected. This solves most cases of broken Korean letters. Typing emails in Korean: Unless you use PCs with the operating system (OS) of Windows 2000 or Windows XP, you need to have a separate application installed in the system. For PCs, you can free download Microsoft Input Method Editor (IME) for Korean from their website. IME works with MS Office applications (MS Word, Excel, Outlook Express etc.) and Internet Explorer (IE). Open a file with extension of .hwp: You have to have Hangul application (provided by Hangul & Computer) installed in your computer. Hangul & Computer provides Hangul, the most used Hangul word processor in Korea. Hanme Soft provides an electronic dictionary running on the Internet myQuickFind, electronic encyclopedia, Hangul input software, etc. TwinBridge Software Corporation provides multi-lingual and Internet Software products and services in Chinese, Japanese and Korean. UnionWay International provides a line of AsianSuite, multi-lingual software, that support Korean, Japanese and Chinese. An educational Web site to support the study of the Korean American experience. Based on the documentary films Arirang: The Korean American Journey and Arirang: The Korean American Dream, developed by Hawaii writer and producer Tom Coffman in connection with the observance of the centennial of Korean immigration to the United States. Lists of steamship passengers arriving in Honolulu, passport applicants, and other resources related to Koreans in Hawai‘i. KASCON XVI is hosted in Denver, Dolorado and Boulder, Colorado at the University of Colorado. Launched in 1961, "The People's Korea, a semimonthly on Korean affairs, is a Tokyo-based unofficial mouthpiece of the DPRK Government." KoreanStudies is an international, English-language, nonpartisan, moderated electronic discussion group on Korea. The list welcomes academic discussions on any aspect of Korean Studies.